Suburban Home Care Celebrates Our Caregiver Of The Month, May 2018! She is our caregiver of the month for May 2018. We got her a Gas Card, who wouldn’t love a gas card! 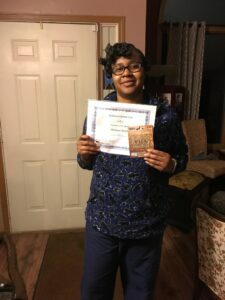 Monique has been with Suburban Home Care since 2015. She’s worked with 2 of our veteran clients and works really hard. She always has a positive attitude, is always on time, and has positive feedback from our clients. Thank you, Monique, for all of your hard work! We appreciate you!